In 1905, the Canadian Northern Railway completed a line between Lloydminster and Edmonton. As it did so, vast areas of open parkland between the two centers became immediately viable for homesteading. As the incipient farms spread out from the rail line, tiny farming communities sprang up to serve them. One of these was called Dewberry, 50 km northwest of Lloydminster, where a store and post office was erected in 1907. Among the settlers in the district was Lee Green from Illinois, who filed for a homestead on NE26 TP54 R4 W4, 10km north of Dewberry, in 1909. He also took two quarters with South African scrip four miles to the north of this, and proceeded to prove them up before returning to Illinois to marry Aleta Fleming in 1912 and bring his bride back to his farm north of Dewberry where they intended to develop it and raise a family. Before long, Lee and Aleta began to expand their farm. During the next several years, they also raised four children. Lee was a progressive mixed farmer, apparently bringing the first gasoline powered breaking outfit to the area. He also brought in a highly valued stock of purebread Belgian horses, and built up a large herd of Aberdeen Angus cattle. As his farm expanded, he required more land, so he purchased all of section 23 TP54 R4, just to the south, from the CPR. It was on the southwest quarter of this section that he centered his operation during the 1920’s, having several buildings erected over the course of the next two decades, including a house, a large barn, a separate pig barn, a blacksmith shop, a machine shop, and a separate residence for hired help. He even built a teacherage for teachers of the nearby Riverton School in 1948. By this time, the farm became a model for the district, which had become known as Greenlawn, and the farm Greenridge. The viability of the expanded operation had been given validity by the extension of a CPR line through Dewberry in 1927. Being among the more prominent residents in the district, Lee and Aleta were active in community affairs, especially musical, for they were both musicians. They were also both prominent parishioners of the local United Church. Lee was active politically as well, being involved in the local branch of the United Farmers. In 1949, he would run, unsuccessfully, as a CCF candidate in the federal election for the riding of Battle River. Lee and Aleta remained on their farm, passing away in the 1960’s. By this time, the operation had been taken over by their son, Harlan. Because of its size and the innovations introduced by Lee and others, and the contributions of the Greens to the district, it continued its status as a model farm. On 16 February 2006, it was designated a Provincial Historic Resource. 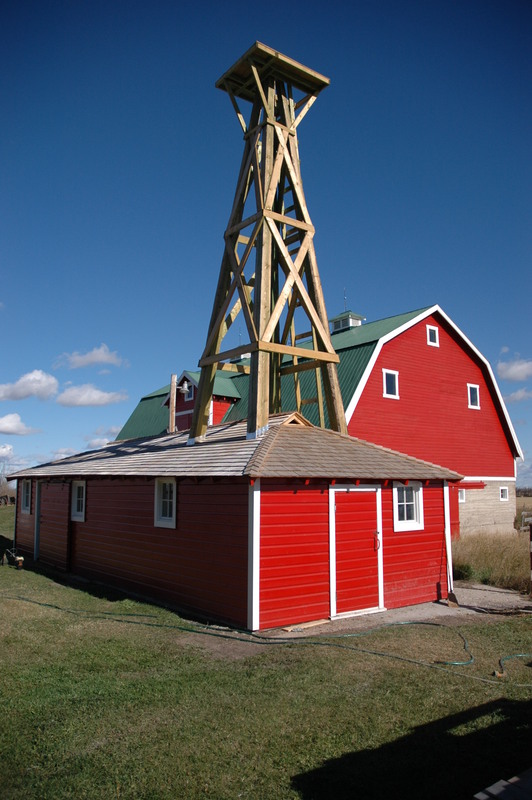 Visit the Alberta Register of Historic Places to learn more about the heritage value of the Greenridge Farm. In order for a site to be designated a Provincial Historic Resource, it must possess province-wide significance. To properly assess the historic importance of a resource, a historian crafts a context document that situates a resource within its time and place and compares it to similar resources in other parts of the province. This allows staff to determine the importance of a resource to a particular theme, time, and place. Above, is some of the historical information used in the evaluation of the Greenridge Farm. Among the immigrant groups to settle in the Dakota’s during the latter 19th century were the Icelanders. Due to severe drought conditions during the mid-1880s however, several of these immigrants decided to seek new horizons in the more northerly climes of western Canada. By this time, the trail between Calgary and Edmonton had become a well used wagon road, and the community at Red Deer Crossing could offer many services to incoming homesteaders. As the district southwest of the Crossing was largely open, appeared fertile, and had just been surveyed, it was recommended by certain Icelandic South Dakotan advance scouts that it offered a good chance for a new life. These people possibly preferred this more hilly and wooded environment to the Dakotas as it was more similar to Iceland, and the Dakota flatlands had not brought them prosperity. They were also intent on mixed, and not just flatland, grain farming, a pursuit more suited to parkland than open prairie. In the summer of 1888, some fifty Icelandic South Dakotans headed north from Calgary, crossed the Red Deer River, and took homesteads off the banks of the Medicine River, mostly to the east. A community was established called Tindastoll after a mountain in Iceland. The following year, another party of Icelanders arrived from South Dakota and settled further north. This party included Stephan Stephansson, who had founded the Icelandic Cultural Society of South Dakota. While in Alberta, he would become recognized as the greatest poet in the Icelandic language since the 13th Century. His concern for his Icelandic heritage was reflected elsewhere in the community, and, in 1892, a literary and debating society was formed, the same year that a school district was established. The women of Tindastoll also formed their own community club called Vonin, meaning “hope.” The first president of Vonin was Stepansson’s sister, Sigurlaud Kristinsson. For years, social events conducted by the sisters of Vonin were presented from a Lutheran perspective. Indeed, their socials seem to have taken the place of regular church services until 1905, when the Reverend Sjera Peter Hjalmsson arrived from Winnipeg with his wife, Jonina, to establish a Lutheran church as part of the Icelandic Synod of western Canada, headquartered in Winnipeg. Serja had been trained in theology in Copenhagen and Reykjavek. He immediately began to conduct services in the newly constructed Fensela Hall, but strongly urged the members of his congregation to pull together to construct a regular church. Finally, in the spring of 1907, a group of men, including John Olsen, Asmundur Christianson, John Hillman and Chris Johanson, formed a committee and planned the construction of a wood frame church building on NE26 TP36 R2 W5, on land donated by J.M. Johnson. This was in close proximity to the other buildings constituting the community of Markerville, which were also constructed on Johnson’s land. Work on the new church began immediately, with sandstone for the foundation being hauled in from the Red Deer River. By the end of the year, the building was completed, with a bell tower and a wooden Celtic cross added the following year. Sjera Hjalmsson continued to serve the MarkervilleLutheranChurch until 1935, although, in later years, he was blind. He passed away in 1950. All the while, Jonina continued to play the organ, while A. J. Christvinson served as secretary-treasurer to the congregation from 1915 until 1964. As a community, Markerville never became big enough to become incorporated as a village. It was too close to Innisfail and Penhold on the Calgary & Edmonton Railway, and so grain shipment and major shopping for the district settlers took place at either of these two centers. Markerville nonetheless continued to harbour the trappings of Icelandic culture, made stronger by the international reputation of Stephan Stephansson. Structural evidence of the founding of this community, including the community church, therefore survived, and, together, present strong trappings of Icelandic culture. 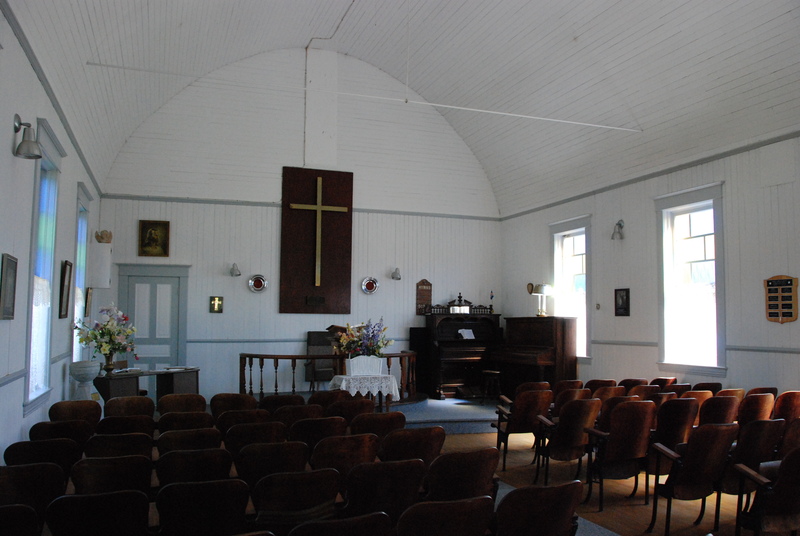 In August 2009, The Markerville Lutheran Church was designated a Provincial Historic Resource. 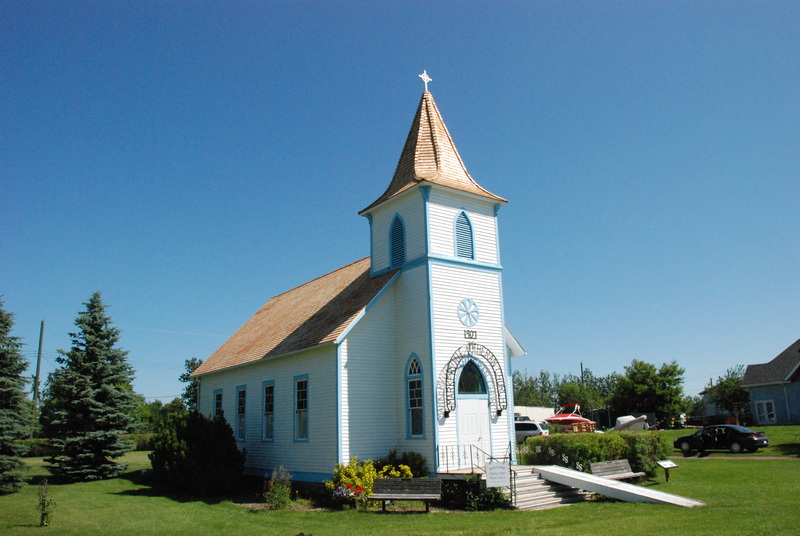 Visit the Alberta Register of Historic Places to learn more about the heritage value of the Markerville Lutheran Church. In order for a site to be designated a Provincial Historic Resource, it must possess province-wide significance. To properly assess the historic importance of a resource, a historian crafts a context document that situates a resource within its time and place and compares it to similar resources in other parts of the province. This allows staff to determine the importance of a resource to a particular theme, time, and place. Above, is some of the historical information used in the evaluation of the Markerville Lutheran Church. “Wij gann naar Alberta!” We are going to Alberta! This was the call of thousands of Dutch settlers who immigrated to Alberta in the early 1900s. A booming economy and the promise of free homesteads attracted Dutch immigrants from Holland and from the American Midwest. By 1911, Alberta’s Dutch population of 2,951 was the largest in Canada. 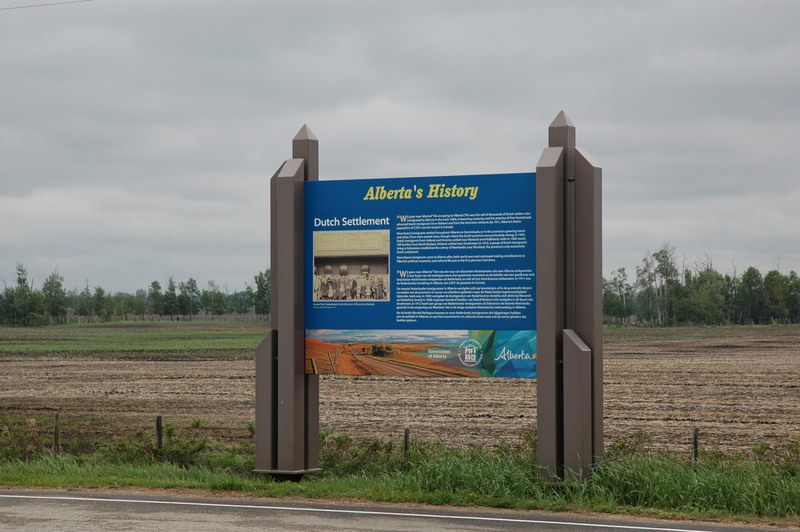 Most Dutch immigrants settled throughout Alberta on homesteads, or in the province’s growing towns and cities. There were several areas, though, where the Dutch presence was particularly strong. In 1904, Dutch immigrants from Holland and America settled near Monarch and Nobleford, while in 1908 nearly 100 families from North Brabant, Holland, settled near Strathmore. In 1912, a group of Dutch immigrants living in Edmonton established the colony of Neerlandia, near Westlock, the province’s only exclusively Dutch settlement. 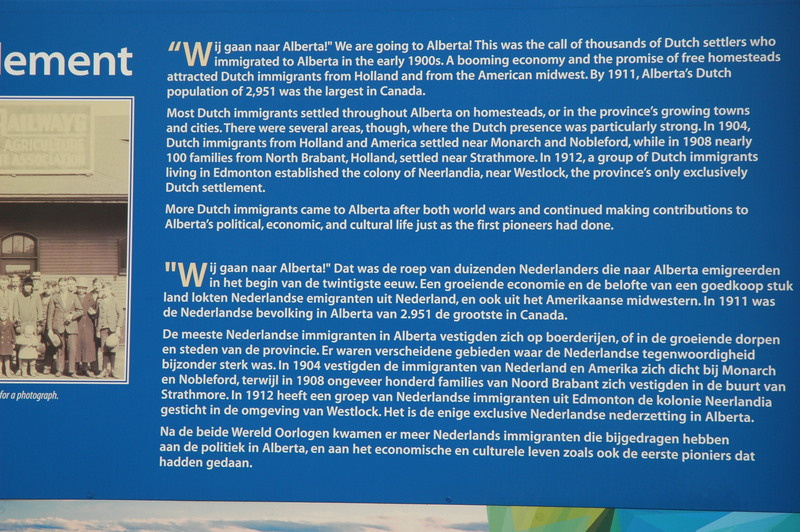 More Dutch immigrants came to Alberta after both world wars and continued making contributions to Alberta’s political, economic, and cultural life just as the first pioneers had done. Note: The text on the sign is repeated in Dutch. To view, click on the below photo. On the north side of Highway 18 approximately 3 kilometers east of Highway 33, near the Town of Barrhead. Alequiers is a Provincial Historic Resource located near Longview in the M.D. of Foothills, in southern Alberta. Although it’s not located near this sign, the property is associated with the well know painter Ted Schintz. Schintz migrated to Canada from Holland during the 1920’s. Aerial View of Zama City, looking south. Photograph courtesy of Curtis Johnston. Much of Alberta’s natural resource wealth is found in the northern parts of the province, but despite the importance of our northern reaches, many of us do not often think about the north until we are somehow forcibly reminded to do so. One of these moments occurred on Thursday, July 12, 2012 when much of north-western Alberta was blanketed with smoke. People in Edmonton awoke to hazy skies and the unmistakable smell of smoke in the air. So, where did this smoke come from? Most were surprised to hear that it came from a massive forest fire near Zama City, about 700 km north. Zama refers to a place and a few geographical features. These names are presented in order of their official adoption. The Zama River rises in the wetlands around Bootis Hill about 30 km northwest of Zama City and flows generally south for approximately 85 km before entering Hay Lake. The river was named by Ernest Wilson Hubbell of the Dominion Land Survey. Hubbell was born in Brockville, Canada East (later Ontario) in 1862. He joined the military and served as a Lieutenant during the Riel Rebellion, following which he attended the Royal Military College in Kingston, graduating in 1881. A few years later, he was employed by the Dominion Land Survey. As chief of a survey party, Hubbell traveled extensively throughout western Canada. He recorded the name “Zammah River” in his 1921 field notes. That same year, Hubbell drew a map of Hay Lake. On this map he notes the “Zamah River” being on average two chains wide, four feet deep, having a current of two mph and flowing through muskeg and swamp. He also notes an “Indian trail” on the river’s west side. In a letter dated 21 March 1922 to the Geographic Board of Canada (GBC), Hubbell noted that “[d]uring the season of 1921, I traversed Hay Lake, Northern Alberta, and named rivers … being unable to identify those streams with any others previously recorded.” He further explained that the name “Zammah [is] the transliteration of the name of the Slavey Chief whose trail follows up this river.” The GBC accepted the name during its 4 July 1922 meeting, but altered the spelling to Zama River; no explanation being given for the alteration. Other surveyors have also commented on the river, notably B. M. Rustad in 1965, who noted in Section 34 of Township 116-7-W6, that the Zama River was 13 feet wide and flowed through “gently undulating country well stocked with Poplar and Spruce to 12 inches diameter, Willow and Alder.” The Dene Tha’ people (formerly known as the Slave or Slavey Indians) identify the river by the traditional name Kólaa Zahéh, which translates as “Old Man River.” There is some thought that this may be a reference to Dene chief Zamba or Zammah referred to by Hubbell, but it is more likely to be a reference to First Nations spirituality and creation stories. Description: Generally south for approximately 85 km (47 km strait line) until it enters Hay lake about 50 km NE of the Town of Rainbow Lake and 105 km WNW of the Town of High Level. Zama Lake is located about 50 km southwest of Zama City. The lake also appears to have been named by E. W. Hubbell, DLS. 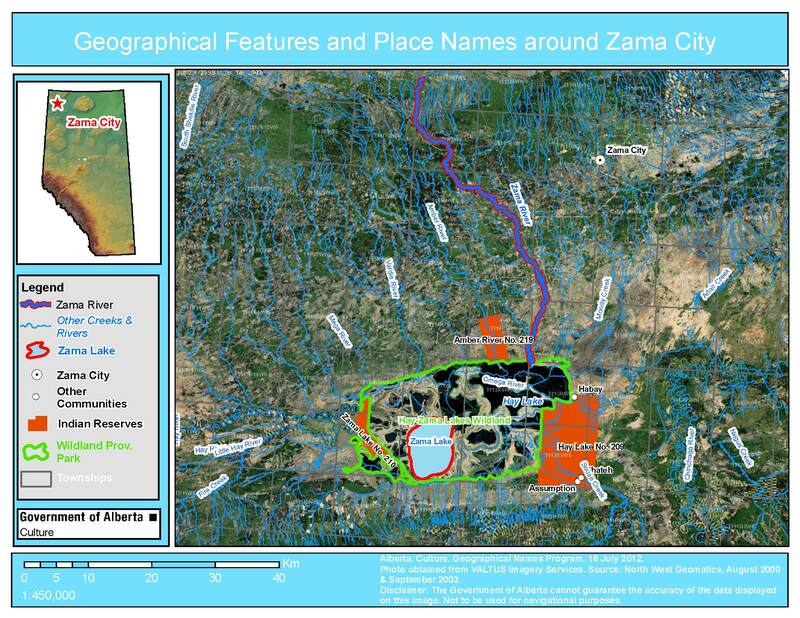 Oddly, the Zama River does not directly enter Zama Lake; Zama Lake and Hay Lake are connected by a substantial wetland. Although the name for both the river and lake were recorded in 1921, the name Zama Lake was not officially adopted until November 6, 1944. The Dene Tha’ do not use the name Zama Lake, but use traditional names to identify the lake. Some of the Dene Tha’ use the name K’ah Woti Túé, which translates as “Main Blind Lake” (referring to a hunting or duck blind). The Dene around Assumption on the Hay Lake Reserve identify the lake with the name Tulonh Mieh, which translates as “Where the Water Ends.” This is thought to be a reference to the lake being the western-most of the Hay-Zama Lakes group. Description: Approximately 25 km NE of the Town of Rainbow Lake and 115 km WNW of the Town of High Level. The Zama Lake Indian Reserve No. 210 is an irregularly-shaped, 2,307 hectare (5,700 acre) reserve located just west of Zama Lake. The reserve is one of seven administered by the Dene Tha’ people. The Zama Lake reserve was created by provincial Order-in-Council No. 547/50, which was signed on May 15, 1950. To “enable Canada to fulfil its obligations under the treaties with the Indians of the Province” the order set aside the land, and transferred title to the Dominion of Canada, to be known as the Zama Lake Indian Reserve No. 210. This transfer was confirmed by Order-in-Council 594/50, which was signed on May 22, 1950. There are no official or permanent settlements on the reserve and it is administered from the band office at Chateh on the Assumption reserve about 30 km to the east. Description: Approximately 23 km NE of the Town of Rainbow Lake and 115 km WNW of the Town of High Level. Zama City is a hamlet administered by Mackenzie County. It is located approximately 115 km in a straight line (150 km by road) northwest of High Level. It is a service centre for the Zama oil field, which is possibly the largest oil and gas field in the province. According to the 2011 Census of Canada, there are 93 permanent residents in Zama City, but the hamlet often supports a transient workforce population approaching 4,000 people. The oil fields of the Zama region were discovered between 1965 and 1969. It is unclear exactly when the community was founded. The 1:250,000 NTS Map for the region (Bistcho Lake) produced in 1963 shows the nearby airfields, but no town site. A local history of the High Level area, Notes of the North,published in 1977, suggests that a small community had been established by 1968. It may have been originally known as “Cameron Corner” after an early oil company, but soon became known as Zama City, after the nearby lake and river and the oil field it depended on (It is assumed the “city” was intended as irony). The name of the community was officially recognized as Zama City on September 10, 1980. Although still a relatively isolated northern outpost, Zama City boasts most of the services and facilities one would expect to find anywhere in the province. In mid-July, 2012, a massive forest fire near Zama City threatened the community, coming within 10 km of the hamlet. Residents of Zama City were evacuated on Wednesday, July 11. The fire was held off and the evacuation order was lifted on July 20, allowing residents to return to their homes. 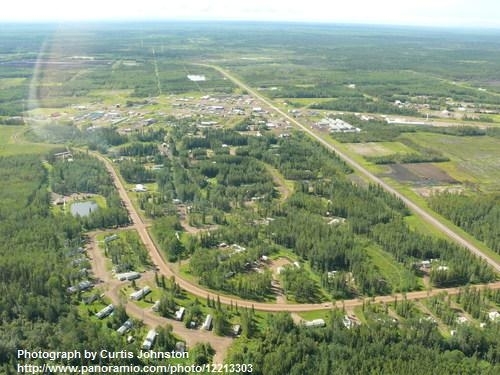 Description: Approximately 115 km NE strait-line of the Town of High Level (150 km by road). The Hay-Zama Lakes Wildland Provincial Park is a large park that encompasses the wetlands surrounding Hay Lake and Zama Lake. The park is 486 square kilometres (188 square miles) in size and is made up of a complex network of rivers, creeks, lakes, floodplains, and muskeg. The wetlands are on three of the four major duck migration roots and are a significant habitat for numerous other types of waterfowl and furbearing mammals. The park is also serving as a re-introduction site for wood bison. In 1982, the Hay-Zama Lakes wetland was recognized as a Wetland of International Importance under the Ramsar Convention on Wetlands, which has been promoting wetlands conservation since 1971. The Hay-Zama Lakes Wildland Provincial Park was created by Order-in-Council 202/99, which was signed on May 5, 1999. Description: Approximately 37 km NE of the Town of Rainbow Lake and 105 km WNW of the Town of High Level. Alberta. 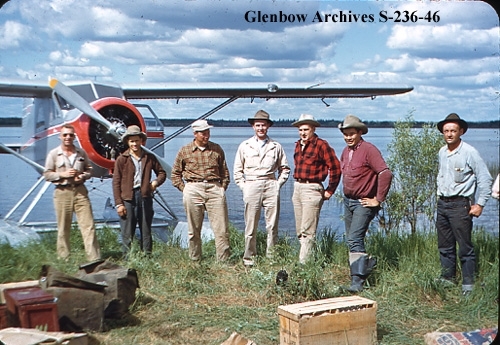 Tourism, Recreation, Parks & Culture, “Alberta Parks: Hay-Zama Lakes Wildland Park,” [document] available from http://www.albertaparks.ca/media/2661/HayZama_web.pdf. Alberta Land Surveyors Association, “Ernest Wilson Hubbell,” Alberta’s Land Surveying History,available from http://www.landsurveyinghistory.ab.ca/Characters/Hubbell_EW.htm. Mackenzie County, “Communities: Zama City,” available from http://www.mackenziecounty.com/index.php/about-us/communities. Throughout the last few years the Municipal District of Spirit River No. 133 has supported the work of area volunteers that were looking at, listening to and learning about the history of the area. Older buildings, significant sites and places that have passed beyond recognition were identified and researched by these individuals. In essence, through history and heritage, the “spirit” of the M.D. of Spirit River was being uncovered. Interested in building upon the great work already completed, the M.D. of Spirit River decided to explore opportunities provided through the Municipal Heritage Partnership Program. Eager to begin evaluating sites for significance, but mindful of wanting to establish a successful heritage conservation program, the M.D. of Spirit River Council first established a Heritage Resource Committee (an advisory group of area residents that will support the M.D. with its heritage program). After receiving orientation from Municipal Heritage Services staff (me! ), and with having submitted a successful funding proposal to the Municipal Heritage Partnership Program (funded through the Alberta Historical Resources Foundation) the M.D. and the committee is ready, eager and committed to further identify the “spirit” of the M.D. Over the course of the next year, a combined Municipal Heritage Survey and Inventory project will be completed. This project will see various sites within the municipality documented in a formal survey so that the information may be included in the Provincial Heritage Survey database. As well, approximately 10 sites will be evaluated for eligibility, significance and integrity, making them potential candidates for Municipal Historic Resource designation. As the project progresses I hope to post updates on this blog. Stay tuned! If you have questions about how your municipality can participate in the Municipal Heritage Partnership Program, please contact Municipal Heritage Services staff. The Clear Hills Watershed Initiative is working on a research project to uncover the local, historical and traditional names used by area residents to identify the creeks and lakes in their region. The Initiative is concerned with water use and quality, and educating the residents of the region about the local water supply. The Initiative believes that researching the names of their creeks and lakes and disseminating that information will raise the profile of these creeks and lakes and will increase the pride and value that people place on these resources. Volunteers of the Clear Hills Watershed Initiative naming project making research notes on maps of the region. Eureka River Hall, March 31, 2012. The Alberta Geographical Names Program was first approached by the Clear Hills Watershed Initiative in 2010 when they were seeking information on having new geographical names officially adopted. The group has been actively interviewing many of the older residents of the region, with particular attention to the trappers, First Nations people and the men and women who have lived and worked in the backwoods of that section of northern Alberta. What the researchers are discovering is that although many of the creeks and lakes in Clear Hills County are not officially named on maps, there are numerous local and historical names used to identify them. The researchers are also discovering the origin stories behind some of the existing official names. These names are often descriptive of the feature’s physical characteristics or commemorate original settlers or trappers that have worked in the area. In all these, local and historical names shed some light on the history of the Clear Hills region. Sherri Larsen, organizer of the group and a driving force behind the naming project, invited me to attend a meeting of the Initiative’s naming group and to speak at a community supper held at the Eureka River Community Hall on March 31, 2012. What I saw when I arrived was a group of people who are proud of their heritage and who are dedicated to uncovering as much of that heritage as they can while the sources, many of whom are senior citizens, are still able to relate their knowledge. People with knowledge of the region’s back country and waterways are identified and interviewed. Notes are taken about the names they use to identify water features and these names are then annotated on the appropriate 1:50,000 NTS Map Sheets for the region. At the community dinner these maps were laid on large tables for viewing. As people came into the hall, a number of them drifted over to the map table and made comments on what was named and what wasn’t. Spirited discussion often followed about what such-and-such a creek or lake was named and who had had their trapping cabin on it or which forestry road went by. Following dinner I gave a short speech to the assembled residents focused on the importance of geographical names as navigational aids and reminders of our heritage. However, with all of my degrees and experience the importance of the Clear Hills Naming Project was succinctly summed up by a junior high school student, who presented a school project about his favourite place in the county. For him this was “Stoney Lake” (officially named Montagneuse Lake). He remembered important gatherings of family and friends and other members of the community at the recreation area on this lake and that lake and those events made him feel connected to his community. He also said that he was able to get most of his information about the lake from his grandfather. That in essence sums up the role of place names – they are more than navigational aids and points on a map. They represent our community values and history. The knowledge of many of these names and the origin stories behind them lie with many of the older members of our community. Following the speeches, even more people found their way to the maps and more comments were made, more creeks were identified and more stories were exchanged. As with most community-based heritage, people often believe that they do not have any knowledge of any value or interest; that nobody wants to know what it was like so many years ago. However, it is usually the people who believe that they have nothing interesting to tell that possess the most valuable information of all. It is important for this knowledge of the past to be passed on to the next generation. The volunteers working on the Clear Hills Naming Project are seeking to record this naming and community heritage while the opportunity is still there. 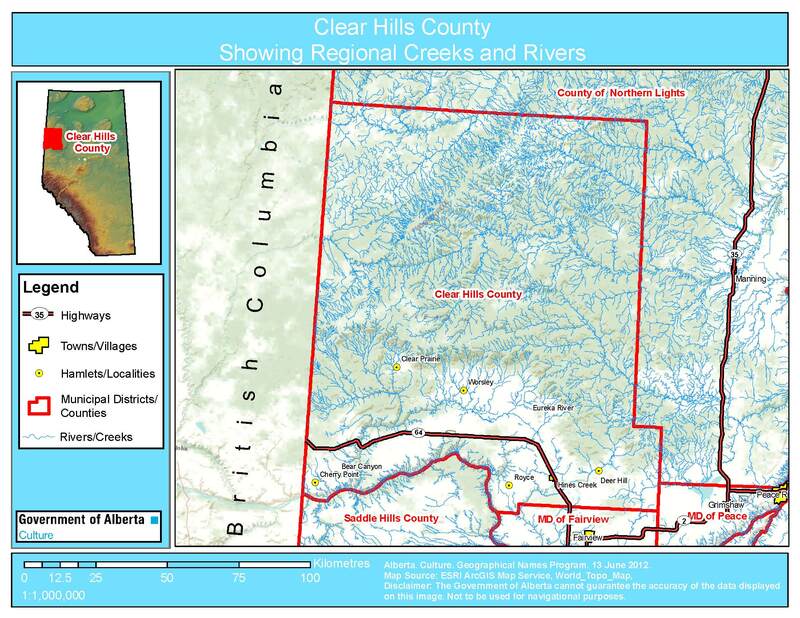 As the Clear Hills Watershed Initiative uncover more historical and local names for their creeks and lakes, they hope to submit them to the Alberta Geographical Names program to be officially adopted. Keep checking this blog, there should be many more interesting names and stories coming out of Clear Hills County in the near future. Since the March meeting, the Naming Project has acquired the services of a researcher, Dallas Bjornson. Dallas will be spending most of the summer talking to people and recording their stories about the water features in the area. If you can assist the volunteers of the Clear Hills Watershed Initiative in their geographical names research, they would be pleased to hear from you. Contact information can be found at the Initiative’s website under the “Naming Our Creeks and Lakes” link on the website’s main page. To learn more, visit the Clear Hills Watershed Initiative website. Reading about barns you may first recall memories of those typical red buildings proudly standing in an agricultural landscape, but do you also remember those barns that were located on the main streets of hamlets, villages and towns? Coming from Québec City as part of the Québec/Alberta Student Employment Exchange Program, I have worked on a research project meant to increase our understanding of the history of livery barns, and to promote awareness for their historic importance. To do this, I had to go back in time at various archives to learn that most livery barns in Alberta were actually important places, especially from the late 19th century to the 1940s. Livery barns were located on strategic corners. They were the main logistic centres for cities during the time when horse power was mainly used for transportation. 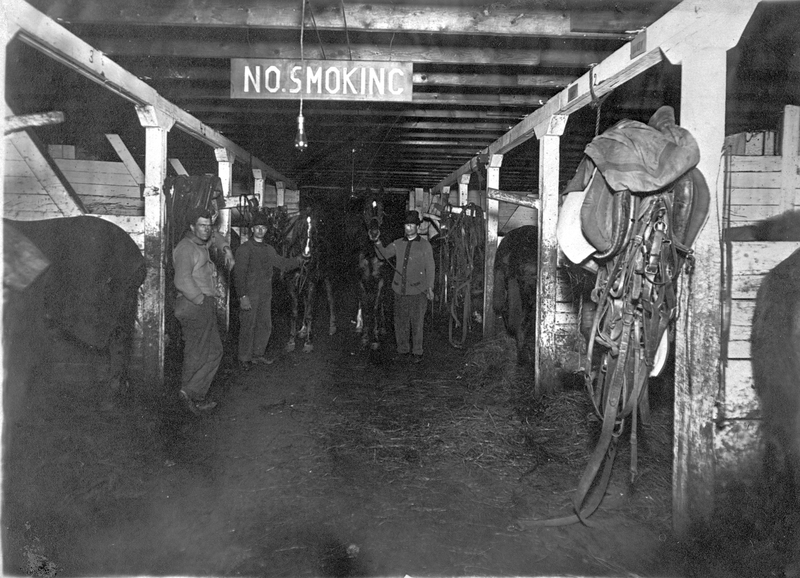 Gable roof, gambrel roof, cubic style, with or without a front wall – all a liveryman needed was a place with stalls to welcome and take care of horses. Mostly located near railways, hotels and lumberyards, livery barns contributed to a great deal of economic activities. Merchants, settlers, travelers and cowboys would park their shire horses, ponies or mustangs with their carriages in a livery barn for a night or a couple of days. Liverymen could rent animals and agriculture implements, host auctions, organize “bus” tours, deliver milk and wood, and even move a catalogue house all according to the needs of the community. If you were marrying in the 1920s, you also could have called for a team of horses to gently carry you to your wedding ceremony. G. Rowland Livery Barn Inside View, Edmonton, c. 1920, Provincial Archives of Alberta. Some livery barns were more high-class than others but they were all meeting places; a place where men could play card games and talk about the weather. Livery barns might also have held suspicious activities. Empty bottles of alcohol dating from the prohibition period were surprisingly found in the walls of the National Hotel Livery Barn, in Calgary. This helps to explain the commonly bad perception that citizens had of the places. The job of the liverymen was dirty and the environment was crowded, as you can see by the photograph. Livery barns sometime created urban sanitary issues. Hygienic laws and relocating the business mostly dealt with the concerns, but, after the 1930s, if a livery barn was accidentally destroyed by fire, it usually was not rebuilt. From the 24 livery barns registered in the Henderson’s Greater Edmonton Directory of 1913, the G. Rowland Livery Barn, which was located at 12705 on 65th St., shows typical historical trends. Built in 1912, exactly at the highest peak of number of livery barns, it changed proprietor 4 times before it disappeared as a company in 1939. The needs of the communities were changing and horses were gradually replaced for automobiles. World War II accelerated the shift and livery barns were abandoned, used for storage or converted to garages. Because horses started better than cars in the morning, some livery barns still existed in the winter until the late 1950s. If you think about it, there was once a time when searching for a place to park your horse was like today searching for a spot to park your car. It seems that livery barns are a forgotten part of Alberta’s history, but it might not be too late to recall the legacy.